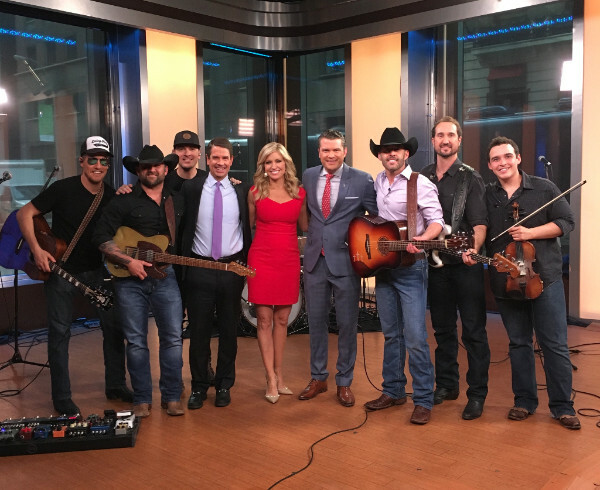 Nashville, TN – March 5, 2018 – “Pioneering independent” (Cowboys & Indians) Aaron Watson spent much of his weekend in the Big Apple, with an appearance on Fox News Channel’s “Fox & Friends Weekend” following his headlining show at New York City’s Gramercy Theatre. Fans can catch the full band live performance of his new single “Run Wild Horses” from Saturday’s (3/3) show HERE. The song, a self-penned homage to his wife of 15 years “turns the heat way up” as “R&B overtones dominate a sultry, guitar and fiddle-heavy arrangement that practically reaches out to dim the lights itself” (Taste of Country). It is already making waves at country radio, among the most added for the second week in a row pulling support in markets nationwide. Aaron’s “After the Show Show” performance of his Top 10 hit, “Outta Style” can be seen HERE.